Draft: 2004, Minnesota Twins, 2nd rd. Anthony Ray Swarzak… resides in Fort Lauderdale, FL, with wife, Elizabeth, and daughter, Evelyn…Louisville Slugger preseason High School All-America as a senior at Nova High School (FL) in 2004. The Totals - Made 29 relief appearances with the Mets, going 0-2 with 4 saves and a 6.15 ERA (18 ER, 26.1 IP)…recorded 31 strikeouts and 14 walks...DL Stints - Had two stints on 10-day disabled list: April 2 (retro to 4/1)- June 4 with a strained left oblique and Aug. 5 (retro to 8/4)-Sept. 8 with right shoulder inflammation. Posted a 2.33 ERA (20 earned runs/77.1 innings) and averaged a career-high 10.6 strikeouts per nine innings between with the Chicago White Sox and Milwaukee Brewers (91 total strikeouts)…Had a 1.03 WHIP, while going 6-4 with two saves in 70 contests between the two teams...Was acquired by Milwaukee on July 26 in exchange for minor league outfielder Ryan Cordell...Held lefthanded batters to a .198 (19-96) batting average and allowed just one home run to lefthanded hitters throughout the year...Worked a season-high 2.1 innings at the Yankees on April 17... Tossed 2.0 innings on five other occasions...Opened the year with 19.2 scoreless innings (15 outings). Made 26 relief appearances in his first season with the Yankees … also pitched in 15 games with Class AAA Scranton/Wilkes-Barre...His contract purchased from Scranton/Wilkes-Barre on 6/7 … made his Yankees debut on 6/8 vs. the Angels, earning his only win of the season (1.2 scoreless IP)...Worked 2.2 scoreless IP on 7/16 vs. Boston, his longest outing since a start on 9/26/14 at Detroit (72 pitches/4.1 IP)...Was on the disabled list from 8/23-9/18 with right rotator cuff inflammation … made one rehab appearance during the postseason with Class AA Trenton...Threw 2.0 scoreless IP in his final game on 9/30 vs. Baltimore...Opened the season in Scranton/Wilkes-Barre's starting rotation, making six starts before being moved to the bullpen on 5/10 and appearing in nine games in relief...Went 1-4 with a 4.64 ERA (17 ER/33.0 IP) as a starter and owned a 1.98 ERA (3 ER/13.2 IP) with seven saves and 19 strikeouts in relief. Made 10 relief appearances with Cleveland after signing as a free agent on 1/15...Made the Indians Opening Day roster and made six scoreless appearances before being designated for assignment on 5/9 and outrighted to Class AAA Columbus on 5/14 ...Appeared in six games with Columbus before being sold to Doosan of the Korean Baseball Organization on 6/16...Went 5-7 with a 5.26 ERA (54 ER/92.1 IP) and 72 strikeouts over 20 appearances (17 starts) with Doosan. Went 2-1 with a 4.10 ERA (31 ER/68.0 IP) in 43 relief appearances and 1-1 with a 6.50 ERA (13 ER/18.0 IP) in four starts in his final season with Minnesota...Made 13 relief appearances of 2.0-plus IP, tied for the seventh-most in the American League … his six relief outings of at least 3.0 IP were tied with Samuel Deduno and Todd Redmond for the third-most in the major leagues...Made his first 30 appearances out of the bullpen before making a spot start on 7/23 vs. Cleveland (W; 1 ER/5.0 IP)...marked his first start since 10/2/12 at Toronto...Made the start in each of his final three appearances of the season … worked 4.1 IP in each start … was outrighted on 11/2. Made Twins Opening Day roster for second consecutive season. Earned the win in first appearance April 7 at Baltimore, pitching 1.1 scoreless innings. Posted a 1.93 ERA (14.0 IP, 3 ER) in six April games. Posted a 1.56 ERA (17.1 IP, 3 ER) in eight August games. Set single season career-high with 45th appearance September 19 at Oakland. Made 10 appearances of 3.0-plus innings pitched and four appearances of 4.0-plus innings pitched. Pitched 96.0 relief innings, tying him with Juan Berenguer (1988) for eighth most for a reliever in club history and most since Greg Swindell pitched 112.0 in 1997. Led all MLB relievers in innings pitched, the first Twin to lead baseball in relief innings since Greg Swindell (112.0 in 1997). Made Twins Opening Day roster for first time in career...started Twins third game of season April 8 at Baltimore, allowing just one run onfour hits in 5.0 innings and was dealt the loss. ... Started three games April 8-19 as Twins lost original starters Scott Baker (elbow) and Jason Marquis (personal). ... Moved to bullpen upon Marquis' return...posted 3.06 ERA (17.2 IP, 6 ER) in nine appearances April 22-May 20. ... Earned first win of season, tossing 1.0 scoreless inning June 17 vs. Milwaukee. ... Placed on 15-day disabled list with mild right rotator cuff strain July 26; reinstated August 15. ... Went 3-1, 4.05 (73.1 IP, 33 ER) in 39 relief appearances and went 0-5, 8.10 (23.1 IP, 21 ER) in five starts. Started the season with Triple-A Rochester...was the Red Wings Opening Day starter, tossing 4.2 scoreless innings with three hits allowedand seven strikeouts, April 7 at Pawtucket...did not factor into the decision...Tossed a 7.0-inning complete game, with one run allowed on four hits, earning his first victory of the season, April 19 at Buffalo...Went 1-1, 4.87 (20.1 ip, 11 er) in four starts during his first stint with the Red Wings...Recalled by Minnesota, April 28...made the second start of a doubleheader that same day against Tampa Bay, allowing five runs on eighthits in 5.1 innings, with one walk and one strikeout in suffering the loss...optioned back to Rochester following the game...Went 1-1, 2.25 (12.0 ip, 3 er) in two starts during his second stint with the Wings...recalled by Minnesota, May 16...Made his second start of the season for the Twins, tossing 8.0-shutout innings with one hit allowed, May 28 vs. Los Angeles (AL)...carrieda no-hitter into the seventh inning until a Peter Bourjos double...did not factor into the decision...Earned his first win of the season, allowing two runs on seven hits in 6.0 innings, with two walks and one strikeout, June 2 at Kansas City...Joined the Twins starting rotation in late August and went 1-3, 5.85 (32.1 ip, 21 er) in six starts to finish the season...Tied his career-high with 8.0 innings pitched, September 5 vs. Chicago (AL)...allowed two runs on seven hits and was dealt the loss...Had third career six-strikeout game (second of season), September 27 vs. Kansas City...Went 3-5, 4.52 (63.2 ip, 32 er) in 11 starts and went 1-2, 3.99 (38.1 ip, 17 er) in 16 relief appearancesfor the Twins. Began the season at Triple-A Rochester and was the Red Wings Opening Day starter, allowing five runs on four hits in 3.0 innings, April8 at Pawtucket...Placed on the disabled list with broken bone in his right foot, after being struck by a batted-ball, April 14-May 23...Had a season-high nine strikeouts in 7.0 innings, July 20 vs. Buffalo...Won three straight starts, posting a 3.06 ERA (17.2 ip, 6 er) with three walks and 14 strikeouts, August 10-22...Finished second on the Red Wings' in starts and was third in innings pitched...Pitched in the Venezuelan Winter League with Tigres de Aragua, going 2-3, 4.83 (31.2 ip, 17 er) in eight games (six starts). Began season at Triple-A Rochester...won three straight starts, posting a 1.80 ERA (20.0 ip, 4 er), May 1-11...had his contract selected, May 20...made Major League debut and first career start, tossing 7.0 shutout innings, May 23 vs. Milwaukee...became the first Twins pitcher in history to start a game and pitch 7.0 scoreless innings in his Major League debut, with the last to do it in franchise history being Mike Fornieleson September 2, 1952 for the Washington Senators...had 11.0-inning scoreless streak to start his career, tied for second in Twins history with Doug Corbett from April 10-25, 1980...pitched another 7.0 shutout innings and season-high six strikeouts, earning his second win, June 13 at Chicago (NL)...according to the Elias Sports Bureau, he was the first rookie in 2009 to throw at least 7.0 shutout innings in two different starts...optioned to Rochester, June 13...went 1-0, 2.53 (21.1 ip, 6 er) in three starts with the Red Wings before being recalled by Minnesota on July 4...was selected to play in the Triple-A All-Star game, but missed it due to promotion...was optioned back to Rochester, August 21 and made three more starts for the Red Wings. Began season with Double-A New Britain...earned Twins' Pitcher of the Month for April after going 2-0, 2.08 (26.0 ip, 6 er) with 29 strikeouts...struck out 10 batters, April 16 at New Hampshire...tied season-high with 10 strikeouts, May 29 vs. Connecticut...went on a six-game losing-skid from June 14-July 23 with his best start coming July 18 at New Hampshire, tossing 7.0 innings, allowing two runs on four hits...promoted to Triple-A Rochester, July 28...made seven starts for the Red Wings...did not allow more than two earned runs in any of his starts and pitched 5.0-plus innings in each outing...tossed season-high 8.0 innings, allowing one run on seven hits, striking out six and walking two, August 25 at Syracuse...pitched 7.0-plus innings four times at Triple-A with his last coming on August 31 vs. Buffalo, allowing three runs (one earned) on seven hits and no walks...ranked sixth best prospect in the Twins' organization by Baseball America entering 2009. Made two starts with Double-A New Britain before being issued a 50-game suspension for violation of minor league drug policy, April 20...reinstated on June 11 and transferred to Ft. Myers, June 12...promoted to New Britain, June 27...went 3-1, 1.91 (37.2 ip, 8 er) with 34 strikeouts insix starts from June 28-July 25, including a 7.0 shutout-inning performance with 11 strikeouts, July 25 at Connecticut...season-high 8.1 innings,August 21 at New Hampshire...held left-handed batters to a .195 (22-for-113) batting average with one home run...pitched in the Arizona FallLeague with the Phoenix Desert Dogs, going 1-1, 2.05 (22.0 ip, 5 er) in seven starts...named fifth-best prospect in the Twins' organization byBaseball America heading into the 2008 season. Spent entire season at Single-A Ft. Myers...pitched 5.0-plus innings in eight straight starts from April 29-June 5 including four eightstrikeoutperformances during that span...went 3-1, 0.32 (28.0 ip, 1 er) in four starts from July 3-24...recorded first professional complete gameshutout July 24 vs. Palm Beach...five-game win-streak, July 14-August 23, going 5-0, 1.55 (46.1 ip, 8 er) in six starts, including an 11-strikeoutperformance August 11 vs. Sarasota earning him Florida State League Pitcher of the Week for August 7-13...finished first in the FSL in strikeoutsand third in ERA...ranked fifth-best prospect in the Twins' organization by Baseball America, entering the 2007 season. Began season at Single-A Beloit...made his first start on April 7 vs. Quad Cities and earned the win, tossing 6.0 shutout-innings, allowingno hits, walking one and striking out eight...named Twins' Pitcher of the Month for May after winning five consecutive decisions from May 3-30,while posting an ERA of 0.24 (37.0 ip, 1 er) during those six starts...went five consecutive starts without allowing an earned run during thatspan, May 3-25...struck out 10 batters, May 3 at Cedar Rapids and a season-high 13 batters, May 25 vs. Cedar Rapids...went eight starts fromApril 23-May 30 without allowing a home run (45.0 innings)...earned Midwest League Pitcher of the Week honors, May 23-30 after going 2-0,0.69 (13.0 ip, 1 er) in two starts...was the Twins' Minor League Player of the Week for May 27-June 2...went 1-0, 2.25 (12.0 ip, 3 er) in two startswith 12 strikeouts from June 12-17...played in the Midwest League All-Star game...promoted to Ft. Myers, July 12...allowed two runs on five hitsin 7.0 innings while striking out seven in his first start with the Miracle, July 16 at Brevard County...had three-game win-streak, August 18-29,going 3-0, 1.93 (18.2 ip, 4 er) during the stretch...made his last start on September 3 vs. Sarasota, striking out 11 in 7.0 innings, allowingtwo runs on four hits...finished second in the Twins' minor leagues in strikeouts (156) and third in wins (12)...ranked eighth-best prospect inthe Midwest League by Baseball America...rated fifth-best prospect in the Twins' organization by Baseball America, entering the 2006 season. Began professional career with GCL Twins...earned his first win on July 8 at GCL Red Sox, allowing one run on five hits in 5.0 innings...second straight win July 14 at GCL Red Sox, tossing a season-high 7.0 shutout-innings...was 4-1, 1.59 (28.1 ip, 5 er) in six July starts...fifth winon August 18 at GCL Red Sox, pitching 6.0-shutout innings, allowing just two hits...went 4-3, 2.85 (41.0 ip, 13 er) in nine starts and 1-0, 1.29(7.0 ip, 1 er) in two relief appearances...led club in wins and games started and was third in strikeouts...ranked 15th best prospect in the GulfCoast League by Baseball America...named seventh-best prospect in the Twins' organization by Baseball America, entering the 2005 season. April 2, 2019 Seattle Mariners activated RHP Anthony Swarzak from the 10-day injured list. September 8, 2018 New York Mets activated RHP Anthony Swarzak from the 10-day disabled list. September 3, 2018 New York Mets sent RHP Anthony Swarzak on a rehab assignment to Brooklyn Cyclones. August 5, 2018 New York Mets placed RHP Anthony Swarzak on the 10-day disabled list retroactive to August 4, 2018. Right shoulder inflammation. June 5, 2018 New York Mets activated RHP Anthony Swarzak from the 60-day disabled list. May 28, 2018 New York Mets sent RHP Anthony Swarzak on a rehab assignment to Las Vegas 51s. May 8, 2018 New York Mets transferred RHP Anthony Swarzak from the 10-day disabled list to the 60-day disabled list. Left oblique strain. April 2, 2018 New York Mets placed RHP Anthony Swarzak on the 10-day disabled list retroactive to April 1, 2018. Sore left oblique. 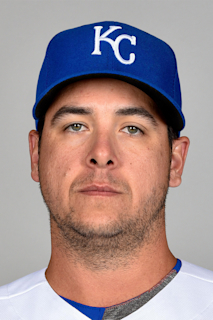 December 15, 2017 New York Mets signed free agent RHP Anthony Swarzak. November 2, 2017 RHP Anthony Swarzak elected free agency. July 27, 2017 Milwaukee Brewers activated RHP Anthony Swarzak. April 2, 2017 Chicago White Sox selected the contract of RHP Anthony Swarzak from Charlotte Knights. January 23, 2017 Chicago White Sox signed free agent RHP Anthony Swarzak to a minor league contract and invited him to spring training. January 23, 2017 RHP Anthony Swarzak assigned to Charlotte Knights. October 5, 2016 RHP Anthony Swarzak elected free agency. September 18, 2016 New York Yankees activated RHP Anthony Swarzak from the 15-day disabled list. September 16, 2016 New York Yankees sent RHP Anthony Swarzak on a rehab assignment to Trenton Thunder. August 23, 2016 New York Yankees placed RHP Anthony Swarzak on the 15-day disabled list. Right rotator cuff inflammation. June 7, 2016 New York Yankees selected the contract of RHP Anthony Swarzak from Scranton/Wilkes-Barre RailRiders. January 20, 2016 RHP Anthony Swarzak assigned to Scranton/Wilkes-Barre RailRiders. January 14, 2016 New York Yankees signed free agent RHP Anthony Swarzak to a minor league contract and invited him to spring training. June 16, 2015 Columbus Clippers released RHP Anthony Swarzak. June 7, 2015 Columbus Clippers placed RHP Anthony Swarzak on the temporarily inactive list. May 18, 2015 Columbus Clippers activated RHP Anthony Swarzak. May 14, 2015 Cleveland Indians sent RHP Anthony Swarzak outright to Columbus Clippers. May 9, 2015 Cleveland Indians designated RHP Anthony Swarzak for assignment. April 5, 2015 Cleveland Indians selected the contract of RHP Anthony Swarzak from Columbus Clippers. January 15, 2015 Cleveland Indians signed free agent RHP Anthony Swarzak to a minor league contract and invited him to spring training. January 15, 2015 RHP Anthony Swarzak assigned to Columbus Clippers. November 26, 2014 RHP Anthony Swarzak elected free agency. November 25, 2014 Minnesota Twins sent RHP Anthony Swarzak outright to Rochester Red Wings. April 7, 2013 Minnesota Twins activated RHP Anthony Swarzak from the 15-day disabled list. March 22, 2013 Minnesota Twins placed RHP Anthony Swarzak on the 15-day disabled list. Fractured left ribs. August 17, 2012 Minnesota Twins activated RHP Anthony Swarzak from the 15-day disabled list. July 26, 2012 Minnesota Twins placed RHP Anthony Swarzak on the 15-day disabled list retroactive to July 25, 2012. Mild right rotator cuff strain. May 16, 2011 Minnesota Twins recalled Anthony Swarzak from Rochester Red Wings. April 29, 2011 Minnesota Twins optioned Anthony Swarzak to Rochester Red Wings. April 28, 2011 Minnesota Twins recalled Anthony Swarzak from Rochester Red Wings. March 14, 2011 Minnesota Twins optioned Anthony Swarzak to Rochester Red Wings. October 13, 2010 Anthony Swarzak roster status changed by Minnesota Twins. October 4, 2010 Tigres de Aragua signed RHP Anthony Swarzak. May 25, 2010 Anthony Swarzak roster status changed by Rochester Red Wings. April 15, 2010 Rochester Red Wings placed RHP Anthony Swarzak on the 7-day disabled list retroactive to April 14, 2010. Broken right foot. March 20, 2010 Minnesota Twins optioned RHP Anthony Swarzak to Rochester Red Wings. October 19, 2009 Anthony Swarzak roster status changed by Minnesota Twins. August 22, 2009 Minnesota Twins optioned Anthony Swarzak to Rochester Red Wings. July 4, 2009 Minnesota Twins recalled Anthony Swarzak from Rochester Red Wings. June 13, 2009 Minnesota Twins optioned Anthony Swarzak to Rochester Red Wings. May 21, 2009 Minnesota Twins recalled Anthony Swarzak from Rochester Red Wings.